Lots of drinking soda make you look older? 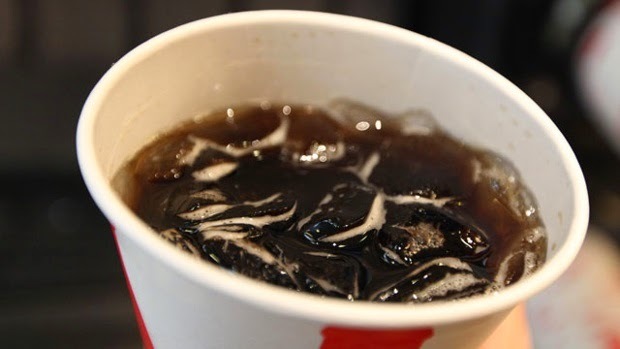 A study found that soft drinks can make certain cells in the body grow old faster. Researchers at the University of California, San Francisco concluded that sugary soda drinks such as colas affecting the health of white blood cells on a scale comparable to smoking. The researchers studied over 5,309 white blood cells in healthy adults by looking at their telomeres. Telomeres are the ends of chromosomes that shorten each time a cell divides, and the cell will die when telomeres are too short. Thus, the scientists believe they have a longer mean telomere live healthier and younger, while short telomeres are less healthy and becoming older faster. By looking at data from a national health survey and nutrition examination during 1999-2002, researchers found that those who consumed sugary fizzy drinks associated with shorter telomeres. Consumption of 350 milliliters of soda per day can speed up to 4.6 years of aging.